WHERE, WHY, DYNOS ETC! WHAT'S NEW? See the tab on op "More" and click the 'PARTS" page. I was tired of sliding around at road courses. Finaly when the driver seat heater broke down and Chrysler wanted $400 to fix it I switched to Sparco. Weight differenece 30lbs vs 55lbs on each. You need a Sparco bracket, universal slider and bolt kit (available at www.Needswings.com. Set aside 4 hrs to complete the work. No seat belt chime. The R-100 reclines, its on this picture. The Sparco Torino fits our car but it is for waist size 32 guys. The Chrono Road does not fit the car (I tried, it hits the ceiling and door panel). You type in you drag slip to get a HP to the flywheel, my car is 3480 lbs so it gimes me 265 to the flywheel. 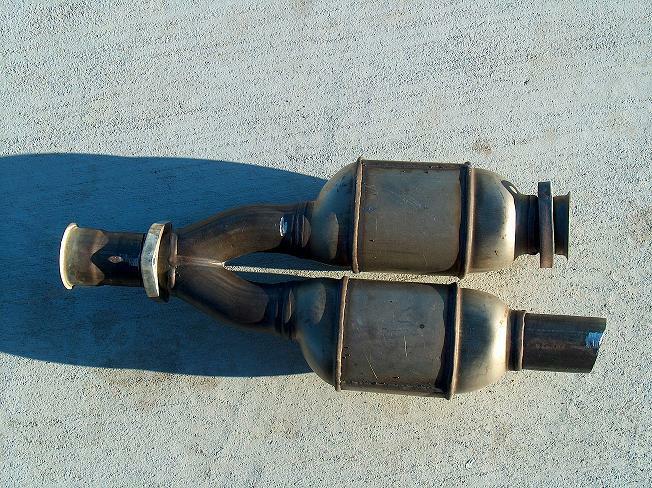 1- This is my personal experience with upgrading the exhaust system. First the crossfire does not need 4 catalytic converters. Leave the 2 with the oxygen sensors alone and cut off the other two. At this point you will need a y-pipe in place of the missing cat. Do not buy a down pipe for hundreds of dollars. et a y-pipe for $15.00 and regular shop pipes to connect the remaining pipe.This will unrestric the flow and lighten the weight while still passing inspections. 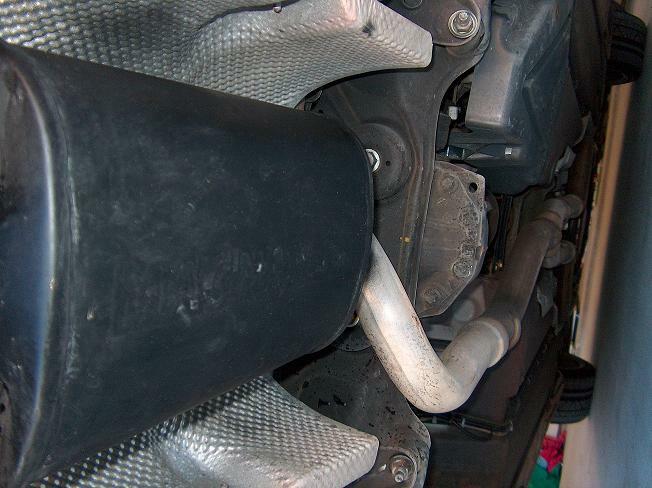 If you have more than 50,000 miles you can delete the muffler and just run you exhaust tips. Next, choose your muffler and exhaust. I just purchased the chrome Magnaflow crossfire specific system for $480.00 but I tell you its mainly for looks because its 10lb. heavier and more expensive then my current custom set up which is the generic magnaflow muffler. There are no proven differences yet. On my generic muffler I put on the original crossfire exhaust tips on as pictured. 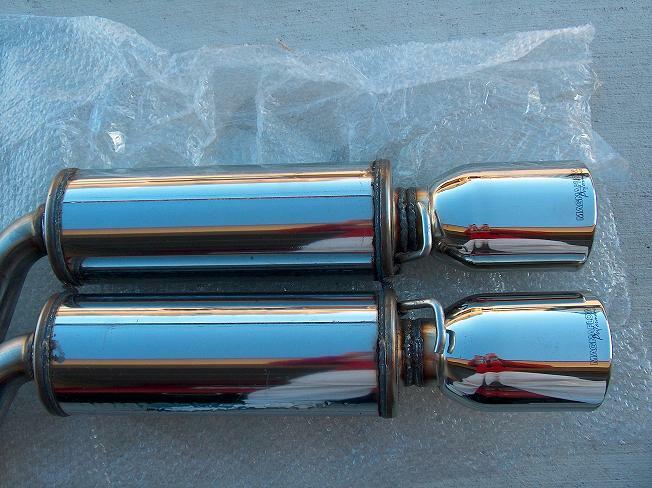 This generic muffler comes in chrome or stainless silver, mine is black because its been DEI hi- temp silicone coated. This set up is light, unattractive and it appear unmodified. muffler above has dual inlets that will make this possible. 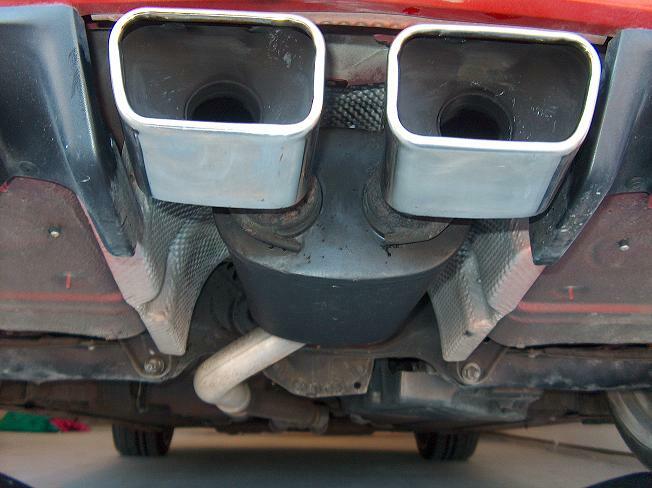 Off course it sounds loud, you?re 2 cats short and just unrestricted your hole exhaust system. 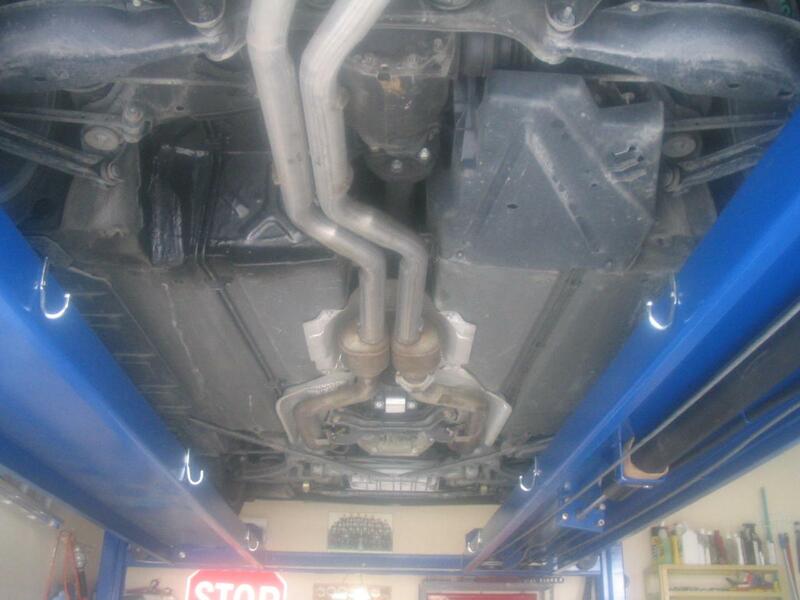 That?s where the $700.00 Borla system comes in, it?s the most quiet unrestricting muffler system. What ever you choose will give you more power, good luck and sorry that I?m not familiar with the flowmasters. 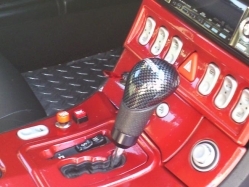 2- Fix the delayed throttle response problem of the crossfire with a simple part the Sprint Booster, it will provide crisp on-tap acceleration at the driver's disposal. Your crossfire will feel aggressive like a sports car should be. I love mine, before the Electronic Throttle Control would remember my driving style in the city. 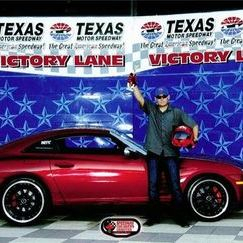 Now it does not, so if that Japanese race car-dime a dozen vehicle wants to brag that his car is faster for half the price of our crossfires you can dust up his ride as you beat him off the line! out and new pulley in. car's systems so you free up 13 HP to the rear wheels! NGK Iridium IX Spark Plugs- This will be walk in park for all of you. give me a dyno but an educated guess is 5HP to the wheel minimum. Find more here: http://www.ngk.com Compare it to Patinum! a 30% hotter spark! 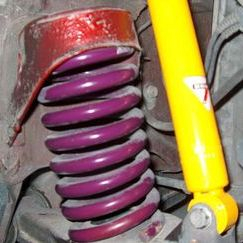 find here http://www.ngk.com or the Magnecor ignition wires at www.needswings.com . There are 12 wires in a set. but they are a bit pricy! 5- NITROUS OXIDE- This is the biggest horse gain you can get for you money. My system is a wet system because fuel is mixed with nitrous and is inJected past the 90 degree turn in the air box, the Nos is injected bellow the air sensor in the throttle body. while in a dry system nitrous gets injected into the air intake and passes through the air filters. Now I don't recommend you to install a wet system yourself, for the fuel to air ratio has to be precise or you will need a new engine! Let me tell you that labor was about 4 hours at a performance shop (not Mercedes or Chrysler) at $62 an hour. I have interchangeable jets for 35, 55 or 75 HP (I use the 75 HP jet off course) and this is the reason why I choose a wet system, its more expensive to get, it takes more labor hours to install but you get the most HP with out having to modify your engine! Honestly you can get a NOS system with over 100 HP, but you would have to upgrade a lot to parts to make it possible. Sure a dry system can be installed in your garage, by anyone and you can get it for $250 but the most you get is 30 HP. 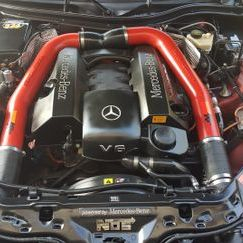 HORSE POWER- "How much of a horsepower increase can I expect from a nitrous system? 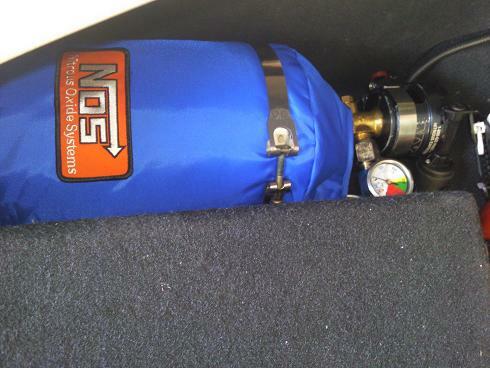 All NITROUS EXPRESS systems make within 2% of their claimed horsepower, if your jet the system for 50 horsepower then you can expect no less than 49 horsepower, but usually a few more than the rated amount"(NX). frequently asked questions http://www.nitrousexpress.com/Pages/faq.htm. Also NX Systems are dyno-tested and calibrated to deliver accurate and safe horsepower gains. Nitrous kit calibrations are determined through dyno-testing, not simple mathematical formulas, which do not take into account real-world variables. Fuel lines, Nos lines, are red and blue. Green is where it injects into throttle body. My Nitrous set up: I did not have any custom work really done because the kits that I used already had too much in it. I used the NX Universal EFI kit (main line). Also, the 2 stage Nx upgrade kit. The last kits were a NOS universal purge kit and the bottle opener and heater kits. I added a bottle gauge, WOT switch. Tuning is hard. When I used the 75 shot I ran UPSOLUTE tuned ECU. But now that I have two stages I use a timed delayed ECU for racing. And the stock ECU for street. Good luck! Use a stock ECU or you will need a custom tune. If you have a tuned ECU and a CAI plan on getting bigger injectors, better fuel pump etc. ( I have two fuel pumps on my Two stage 125 HP). 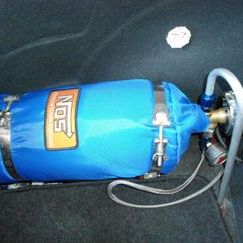 Unless you are using NOS at 90 degree weather you will need a bottle heater too (to bring it up to 1000psi). I got everything, heater, opener, gauge, WOT, purge, tune, injectors, secondary NOS fuel pump, better spark plugs, modified intake silicone elbow to hold the shark nozzles for $3000 total. I got 257 HP to the wheel, that?s reading right of the Mustang dyno machine. When I had just the one shot of 75 HP I used an aggressive ECU tune (a little lean with the knock sensor on). To add more nitrous I had to back that ECU down quite a ways to keep the knock sensor off. In conclusion when I added the shot of 50 to the shot of 75 I lost major power on the ECU tuning by having to time delay it. At the end of the 2 stage upgrade I got a gain of 19 HP to the wheel. But I'm also running a lot saver now, a little rich instead of a little lean which is a good thing with nitrous and no knock sensor. So I don't recommend more than a shot of 75 HP! Unless to like to throw your pay checks down the drain. My quarter mile with the shot of 75HP was 13.75. Now with the 2 stage kit I got 13.5, after I improve my reaction time and traction I will get 13.3 for sure with this set up. It would be great to see a 12.9 but who knows? New bottle set up with auto opener and electric heater! This tune along with the cold air intake, performance muffler that's the 215 hp to 250hp. SRT 360 hp. I installed the Super e-Rams in the intakes myself then paid someone $60 to do the electrical and put the on switch under the gas pedal. 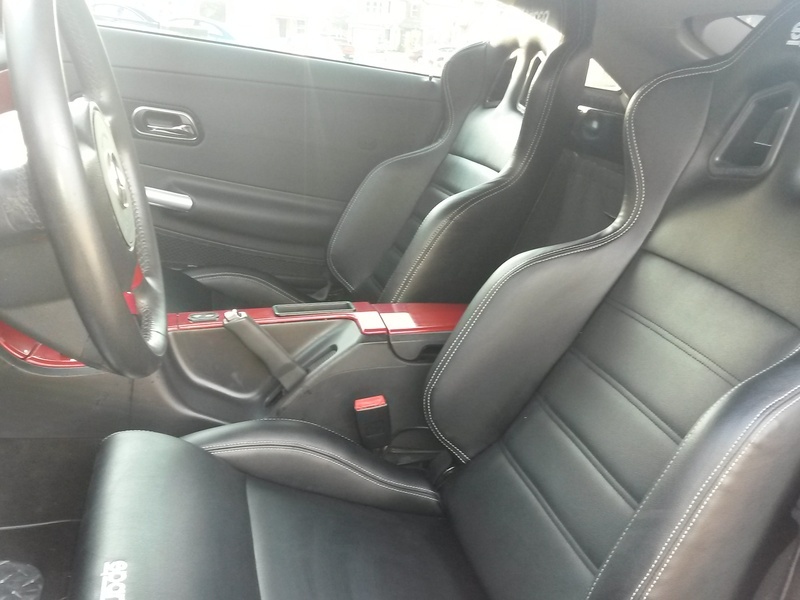 So now when I press on the gas all the way in, I hear it kick on and it feels like a turbo, you definitely feel the car behaves faster by the feeling of being pushed back against the seat. The RPMs jump up way high and after I stop pressing on the gas it takes a couple of extra seconds for the fans to stop and the air pressure to normalize. Its very easy to install. Keep your air box, put some K&M filters in them and use your stock pipes for the kit. You would just have to cut each pipe 6 inches at the place where the 2 separate e-rams will bolt on to. You can paint the pipies red like I did and the K&M sticker comes with the purchace of the filters K&M filters that replaces the stock filters inside the air box. From there its one wire from each e-ram to the battery and just one wire that mounts behind the gas pedal. One Of Sun Auto's newest products is the GT version of the HyperVoltage System. Called Hot Inazma Hyper for the Japanese market, the design has been improved over the already awesome effects that can be found with the regular Hyper Voltage Systems. This kit has an additional feature, allowing you to plug your Hyper Ground wires (if you have them) right into the back of the Hyper Voltage GT System, creating a clean and simple installation. This system also includes an additional ground wire, and an LED light that functions as a battery monitor, which turns red when your battery needs service or replacement. Additionally, the GT version of the Hyper Voltage kit is more compact and includes a universal braket to make mounting even easier. The Box Color also matches the wire color chosen! What do you get from this system? Better horsepower, increased torque, better gas mileage, improved throttle response, quicker engine starts, brighter lights, reduced emmissions, and reduced audio noise! Conclusion...maybe it is more than 5hp gain out of both of these mods! Interestingly they now offer a combo cyber speed kit for the EVO/WRX crowd..that product offers 11-12hp gains on those cars!